Death of #2BidIvy – Any slim hopes the league had of a second bid died in the span of just three days earlier this month, but the actual burial proceedings occurred on Tuesday of this week. Harvard had to go for its second top 50 win at Connecticut without its star Wesley Saunders on January 8, falling in Storrs by five; but the Crimson followed that up with a massive stinker in the form of a 15-point loss at Florida Atlantic. For those of you wondering at home, FAU is currently 7-12 overall and ranked #200 in the latest KenPom rankings. The Owls have lost to St. Francis (NY), DePaul, Stetson, Detroit, and Elon this season, among others. There is now no realistic scenario where the Ivy League would have a shot at a second NCAA bid, even if Princeton or another team wins the league. It appears that the dream of a two-bid Ivy will most definitely have to wait another year. Losing Steam – The start of Ivy play couldn’t have come sooner, as the league’s hot start began to fade over winter break and into early January. After rising as high as 13th in the Pomeroy and RPI ratings, the Ivies have settled to 16th and 19th in those systems, respectively. While the actual rating is still a Pomeroy-era record, the Ivies clearly haven’t played the same level of basketball since the December exam break. Still, the league should easily receive three postseason invites (Harvard, Princeton and Columbia) with the possibility of a couple more if the Ivy wins break the right way. Not Your Older Brother’s Ivy League: By Adjusted Pythagorean Winning Percentage – the same method used by Ken Pomeroy to rank teams – this year’s Ivy League is far and away the best since roaring ’70s, which culminated with Penn’s Final Four run. Turns out, the RPI isn’t far behind. 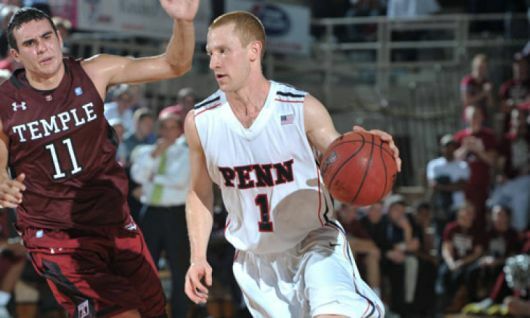 The previous high-water mark for the league was 2002, when Penn won the league in a three-way playoff with Princeton and Yale. That year, the Quakers finished with the highest RPI ranking (#37) that any league team has had since Princeton’s amazing 1998 season. The Tigers wrapped up the season at #79 and the Bulldogs closed their campaign at #98, marking the first time the Ivies had three Top 100 RPI teams. The league’s average RPI was #160, best in the era for which data is available, barely edging last season’s average of #173. After a rough start, this year’s edition of the league has made an assault on that 2002 mark. Harvard sits comfortably in the RPI Top 50, while Penn, Princeton and Yale are hovering on the cusp of the Top 100 to make four Ivies in the Top 125. The 2012 average RPI currently stands at #169, but that’s primarily because all eight 2002 squads finished ahead of this year’s laggards Brown and Dartmouth. While it’s completely within the Crimson’s control to track down the 2002 Quakers for best RPI since the 1998 Princeton squad, the league’s teams will need a bit of help from their non-conference opponents to claim the mark for best average, since league play tends to be mostly a zero-sum game from a rankings perspective. As Teams Like Brown Drop From Contention, Keith Wright And The Crimson Continue To Hold The Keys. Given that the Ivy League does not have a conference tournament, there is no second chance to save a season once a team falls out of the league race. With each Ivy Check-In for the rest of the year, this section will break down which squads’ seasons came to a premature end, and which are sliding quickly into the danger zone. Dartmouth (0-4): The Big Green has been full of surprising moments all year, including holding a seven-point lead in the second half at Harvard in each school’s Ivy opener. But Dartmouth got outscored 90-51 over the next 55 minutes to drop both ends of the travel partner series to the Crimson and then blew second-half leads at both Brown and Yale to fall to 0-4. Brown (1-3): After getting swept by Yale to kickoff the Ivy campaign, the Bears narrowly avoided the cellar by grabbing a comeback win over Dartmouth at home. 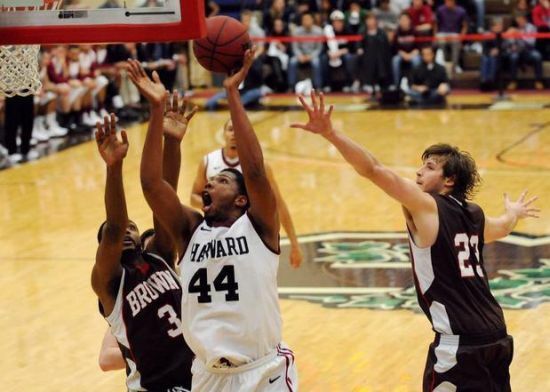 Brown had to have a win over league favorite Harvard the next night to stay in the race and hung in with the Crimson for 20 minutes before a 13-0 run gave the visitors all the cushion they would need to cruise to victory. Now the Bears have been relegated to the role of spoiler with Penn and Princeton coming to town next weekend. Columbia (1-3): A 20-6 run to pull even with Cornell at 53 seemed to give the Lions new life in what was quite properly referred to as an Ivy elimination game. The Big Red responded with big bucket after big bucket over the final six minutes to withstand the charge and edge Columbia, 65-60. Cornell (2-2): A series of mediocre results has the Big Red alive heading into its trip to Boston next Friday, but a win over Harvard is an absolute must to stay in the race. An upset there could give the Big Red a clear shot at 6-2, which would keep it in the thick of things heading into back-to-back road trips including dates with Penn, Princeton and Yale. Princeton (1-2): The results weren’t expected to be great for a team with five-straight road games to start Ivy play, but two losses are still just as damaging if they come against good teams or bad. The Tigers now need to sweep a tricky road swing to Yale and Brown and take care of Dartmouth at home to set up an opportunity to get back into the race with a visit from Harvard. A ho-hum two weeks to begin 2011 in the land of the Ancient Eight. Overall, the league went 11-8 and saw their Conference RPI drop to a more realistic #14. With non-league games dwindling to a precious few, it is unlikely that ranking will change much from now until March. Still two weeks to go before the Ivies get into league play, and most of the members used the time to fatten up on inferior competition (i.e. Baruch, Lyndon St, Union). All except Penn and Harvard, who ventured into the SEC and ACC, respectively, for a couple of memorable games. Pardon the Inter-Rupp-tion: A trip to the Bluegrass State to open the new year; a glimpse of Kentucky’s thoroughbreds — both human and equine; a national television appearance on ESPNU; and, a matchup of two storied programs, each in the top ten all-time in victories. All of that for the Penn Quakers to ring in 2011. Except someone forgot to tell the Red and Blue that they were also supposed to be fodder for the #11 Wildcats, who were coming off a dismantling of neighboring rival Louisville. For the first 15 minutes, it was the Quakers who looked like the nationally ranked team. Riding the hot hand of Tyler Bernardini and the floor generalship of Zack Rosen, Penn opened up a 12-point lead which, left John Calipari screaming on the sidelines, wondering how Miles Cartwright had slipped through his recruiting fingers, and gave Jerome Allen flashback visions of his own great teams. It was then where things began to unravel, thanks in large part to some Kentucky defense and rebounding. A 14-1 Wildcat run to end the half gave Kentucky a lead they would never relinquish and finally allowed the 21,681 in the sea of blue to, if you’ll excuse the expression, e-Rupp-t. The second half proved to be not much more than a scrimmage for Kentucky. They hit 12 of their first 13 shots en route to an 18-22 clip over the final 30 minutes. The rebounding numbers were even more lopsided, 36-15, in favor of the Wildcats, thanks to a workmanlike effort from Josh Harrelson. The only good news for the Quaker faithful was that the 86-62 final score meant that ,with apologies to Warner Wolf, if you had Penn and 25 you won! Familiarity Breeds…: Three years ago, just days after Boston College had upset then #1 North Carolina, Harvard came in and beat the Eagles. A natural letdown was the explanation. Last year, despite protests from the Al Skinner and the BC players that things would be different, the result was the same. So this year, it should have come as no surprise when Harvard traveled across the Charles to Chestnut Hill and came away with a gutsy 78-69 victory. And to sweeten the (bean) pot, the congratulatory post-game handshake that Tommy Amaker received came from none other than old Cornell nemesis, Steve Donahue. And this against a BC team that had won eight out of nine and at 3-0 is currently atop the ACC leader board (that’s right, Dookies). The Crimson led just about every step of the way. BC cut an 11 point lead to five with two minutes remaining but could creep no closer. Amaker used only seven players with six getting significant minutes. The leading scorer for the Crimson….. Player of the Week: Laurent Rivard, Harvard –Based on his name, he should either be a ski resort in the mountains of Quebec, a new Dior eau de toilette, or a left wing for Les Habitants. But freshman Laurent Rivard of Harvard (kind of rhymes) is instead this week’s RTC Ivy League Player of the Week. In the three Crimson victories, the 6’5 guard from Saint-Bruno, Quebec, averaged 16 points in 31 minutes per game. More importantly, it has become evident that he is the only one who is seeing significant minutes off Tommy Amaker’s shortened bench. So hissez le trophée Monsieur Rivard. You are well on your way to becoming the Ivy Sixth Man of the Year. 2. Princeton (11-4)—The Tigers relinquish #1 primarily because of inactivity (finals), with just a victory over Marist in the last two weeks. The quartet of Douglas Davis, Dan Mavraides, Ian Hummer, and Kareem Maddox can hold their own with any team this side of Cameron Indoor or Allen Fieldhouse. The head-to-head meetings with Harvard February 4 and March 5) should decide league supremacy. 3. Columbia (9-5)–winners of six of their last seven, albeit against weak competition, the Lions look to be much improved under Kyle Smith. Led by Ivy scoring leader Noruwa Agho (16.4 PPG), Columbia next faces travel partner Cornell in home-and-home games that will go a long way in determining if the Lions are worthy of first division status. 4. Penn (5-7)—There are a lot of reasons to think the Quakers can make a run at the title. They have probably the most complete player in the league in Zack Rosen, (two rebounds and three assists short of an unheard of triple double before fouling out vs. LaSalle) a freshman comparable to Laurent Rivard in Miles Cartwright, and a veteran supporting cast. 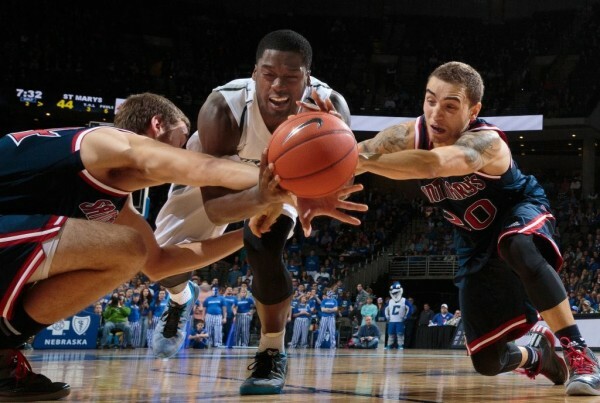 Furthermore, they have shown flashes of brilliance against nationally ranked opponents Kentucky and Villanova. But then there are games like those against Marist and Manhattan. The jury is still out. 5. Cornell (4-10)–What, you say? Make noise? A team tied with lowly Dartmouth for the cellar and a team that endured an eight game losing streak? Well, perhaps we ARE going too far back into their past performances. But it is hard to believe that a team which features veterans like Chris Wroblewski and Errick Peck who have known only success, won’t make some sort of an impact in the league race. 6. Yale (7-7)–Perhaps an underrated and overlooked squad. Next to Penn, Yale played probably the most demanding non-conference schedule. The Elis did conquer BC and played Big East foe Providence tough. They will go as far as Greg Mangano and Austin Morgan take them. 7. Brown (6-7)—Games against their in-state rivals Rhode Island and Providence were the only two real tests the Bears have faced. And in each case, they didn’t pass, losing by 25 and 27 points, respectively. Peter Sullivan has been a bright spot averaging nearly 14 points and six rebounds per game. 8. Dartmouth (0-1, 4-10)–Wondering if Paul Cormier is having second thoughts about leaving the NBA for a return engagement in New Hampshire? At least the relatives and friends of the players are happy, as there are ten members of the Big Green seeing double digit minutes. Brown faces home-and-home travel partner Yale before going south for a Penn/Princeton weekend. The Bears could be staring at an 0-4 to open up. Columbia has the aforementioned battles with travel partner Cornell before heading to New England for Harvard and Dartmouth. Can they win three of those? Cornell has the opportunity to put their pre-conference disasters behind them as they have three winnable games before facing Harvard on the 29th. Would anyone be shocked to see the Big red atop the standings at 3-0 before that game? Assuming they will not go 0-14, where will victories come for Dartmouth? Their first home weekend vs. Cornell and Columbia? Doubtful. Harvard actually has an interesting game at GW before three soft league home games. It is expected that the Crimson will enter the Feburary 4 game against Princeton unblemished. Penn must complete their rugged Big 5 schedule against old friend Fran Dunphy and his Owls and then the St. Joseph’s Hawks. If they are not worn out from all the flapping, they should begin league play 2-0 with their softest home weekend. A weird scheduling quirk has Princeton opening with five straight league home games. If they are perfect, the race may be over early. Yale needs to beat up on travel partner Brown before they too swing south for a trip to the Palestra and Jadwin Gym. Note: Once league play begins, there will be games only on Friday and Saturday, for the most part. Therefore, this column will next appear in two weeks, on Monday the 31st, instead of Friday, allowing full coverage of the first big Ivy weekend.